Happy Tuesday and time for a new colour palette at the colourQ! 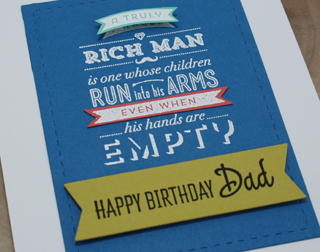 With Father's Day around the corner I set out to make a Father's Day card, but this fabulous Happy Birthday sentiment seemed to fit into my design better. 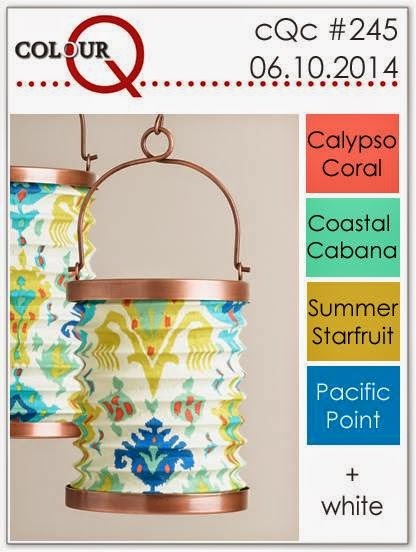 Pop on over to the colourQ too see what the rest of the design team has created for your inspiration this week! Hope you come and play along with us. I am also submitting this to the current Simon Says Wednesday Challenge Father's Day/Masculine projects. OMYGOSH!!! I am IN LOVE with this!! That sentiment is beautiful!! PINNING!!!!!!!!!!!! I absolutely love this card! Tracey...such a fabulous card! I love that sentiment and your made it shine with the beautiful colors for you banners...so sweet. This is a fabulous card, and such a cool way to use those colors. Love the way you've used the colors Tracey, the Pacific Point threw me this week!! Great sentiment too, terrific card! Gorgeous masculine colors , love the layout ! Love the sentiments from this set of WMS. Oh, I love everything about this! Fabulous card! 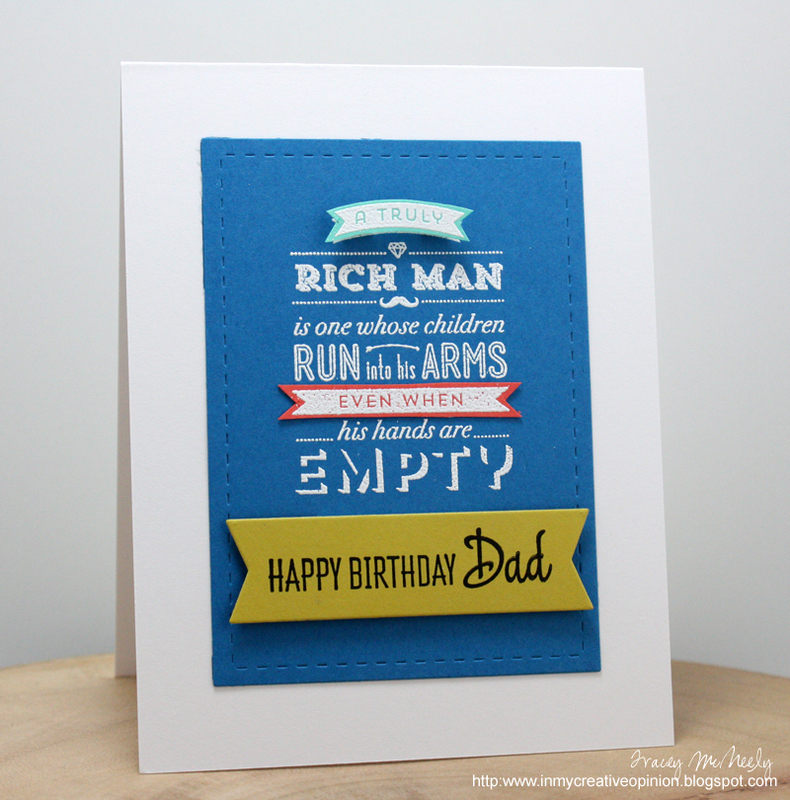 Handsome, striking, awesome...this is one PERFECT guy card! WOW!! What a wonderful sentiment and one that any man would treasure! Love these colors! Brilliant! A seriously cool way of using these colours, Tracey. I love it! ADORE everything about this card! It's one of my favorites for sure. OMG, what an amazing card! You used the colors so perfectly and I LOVE the sentiment! Oh, what a great sentiment, Tracey! You've really done an amazing job showcasing it, too...LOVE this card! What a truly beautiful sentiment! Sigh. LOVE this to bits!